Life on board is varied and interesting… and you can expect new experiences every day. 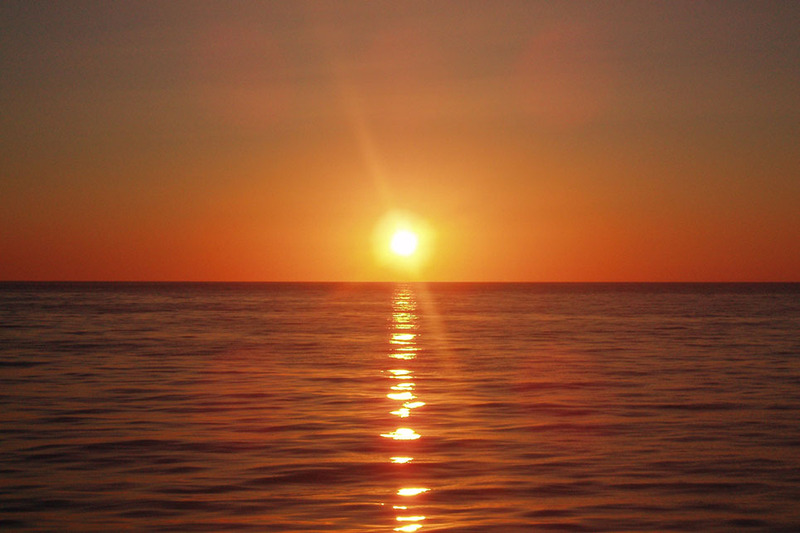 Below, you’ll find a taster of what you can expect during a typical day on board. You’ll start with a hearty breakfast to set you up for the day ahead. This is the perfect opportunity to chat to your crewmates before you begin your duties. 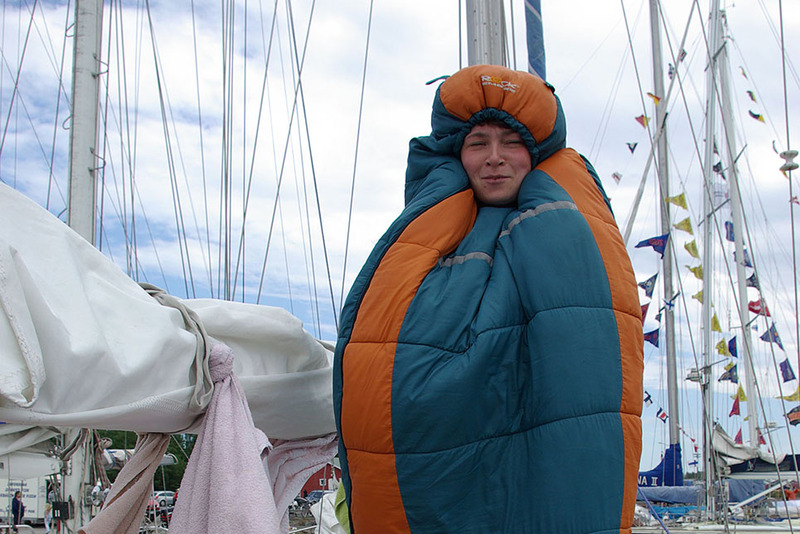 One of the best parts of sail training is that you don’t need any previous sailing experience to take part. Each vessel has a permanent crew that’s always around to help you “learn the ropes.” Age isn’t a barrier, either. 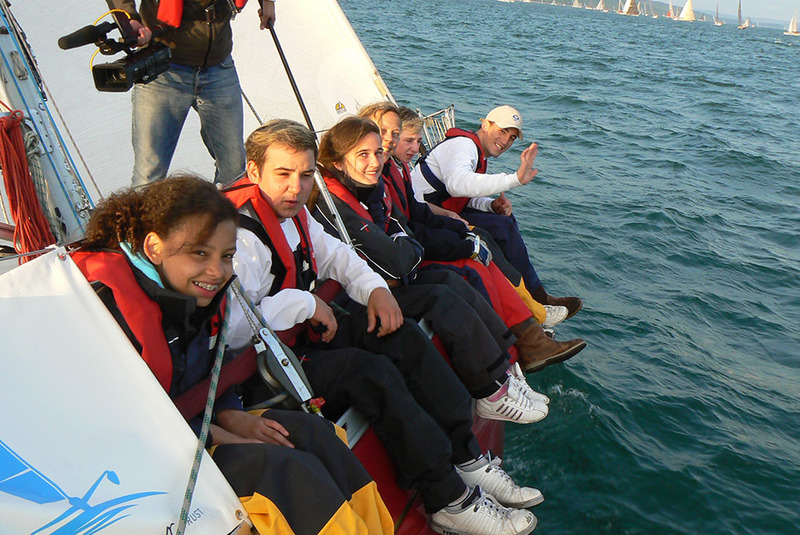 You’ll find a wonderful mix of trainees from 15-25 years old – along with some older people, and a permanent crew of all ages. Every day, each watch will have time to take a break, or “smoko,” when you drink tea and eat cake. These breaks are important, and they provide the perfect chance to get to know your crewmates a bit better. Vessels run efficiently because of a “watch” system on board. Each day is broken up into separate watches, where a team of crewmates takes responsibility for various tasks. These vary widely – you could be hoisting the sails, setting the vessel’s course, or carrying out maintenance. There might be three, four-hour watches around the clock. For example, 04:00-08:00, 08:00-12:00 and 12:00-16:00. You’ll repeat your watch time in the next 12-hour block. So, if you’re responsible for the 04:00-08:00 watch, you’ll also have the 16:00-20:00 watch. It really doesn’t matter how much sailing experience you have. Each watch includes an experienced watch leader, who will help you play your part in keeping the vessel sailing safely on course. Throughout your watches, you’ll undertake different tasks depending on the environment. For example, specialist tasks could include filling in a ship’s log or splicing a rope. While standard duties might involve cleaning the galley, polishing the brass work, or touching up the paintwork. Food on board is usually abundant and delicious. Most vessels have a designated cook, who you’ll assist when you’re assigned to galley duty. One member of each watch is also on mess duty for a 24-hour period. This involves helping the cook to prepare, serve and clear up after meals. Completing your mess duty is one of the most rewarding parts of life on board, and also one of the busiest. All the hard work on watch duty creates a healthy appetite for both you and your crewmates. Sleep, glorious sleep. Just like other aspects of life on board, your sleeping arrangements will vary depending on your vessel. You might only have a handful of people sleeping on a Class C or D vessel… or even more than 100 on some Class A Tall Ships. Whatever the sleeping arrangements, bear in mind that space will probably be a little tighter than you’re used to. So, pack lightly and don’t bring a hard suitcase – there won’t be room for it by your bunk. You already know that the day-to-day running of a vessel involves much more than just sailing. You’ll also spend lots of time on vessel maintenance. Alongside watch duties, the crew will usually set aside an hour each morning, so that everyone can help clean the vessel. This is often called “Happy Hour,” because a clean ship is always a happy ship. There are lots of other maintenance jobs on board… not just cleaning. Different watches will have different responsibilities. These could include: sanding, rigging, painting, tarring, and so on. One thing is for sure… you’ll never find yourself with nothing to do. 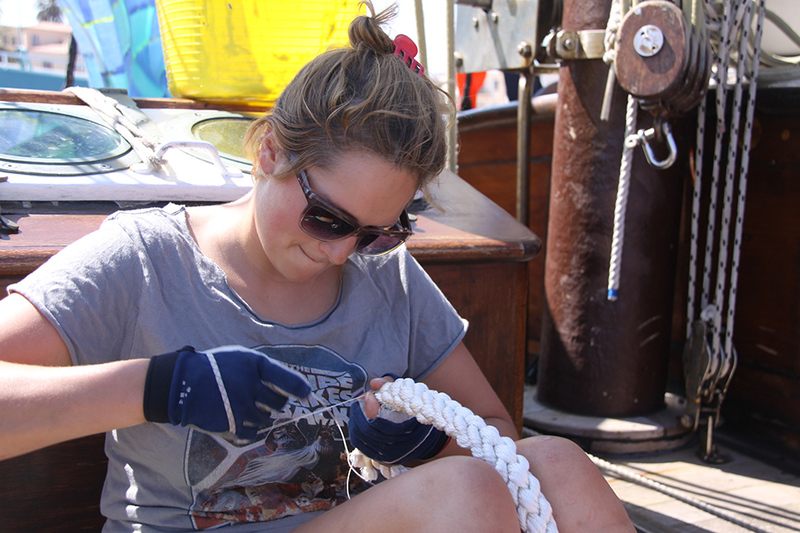 There are lots of different jobs to do and things you can learn on board – such as tying knots and sailing and navigation skills. On some vessels, you might be paired up with a buddy, in addition to being part of a watch team. Your buddy will be your companion on board, and he or she will support you whenever you need it. So, there’s no need to worry about joining a vessel on your own – you won’t be alone for long. 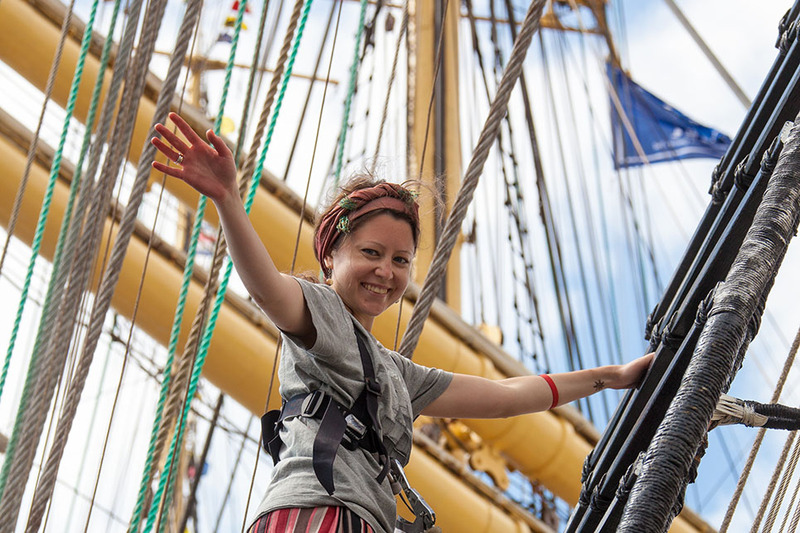 Everyone is welcome to take the helm, set sails, furl the sails on the yard, assist with manoeuvres, navigate, make weather observations, provide a general lookout, and much more. 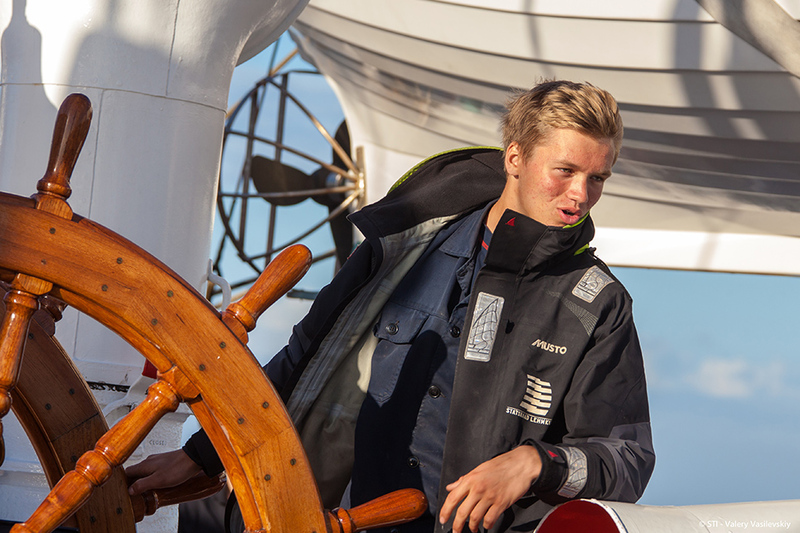 During the voyage, the permanent crewmates will guide you on everything from steering and navigation to line handling. They’ll give you instructions on watch responsibilities and basic sailing theory. Crossing the ocean in any vessel is a team effort, so everyone on board will appreciate your hard work and input. Let your experienced crewmates amaze you with their diverse knowledge as you escape your daily routine, learn something new, and admire the wonders of nature. We’re sure you’ve got loads more questions about what life on board is really like. So, we’ve put together a helpful FAQs with lots of useful information.